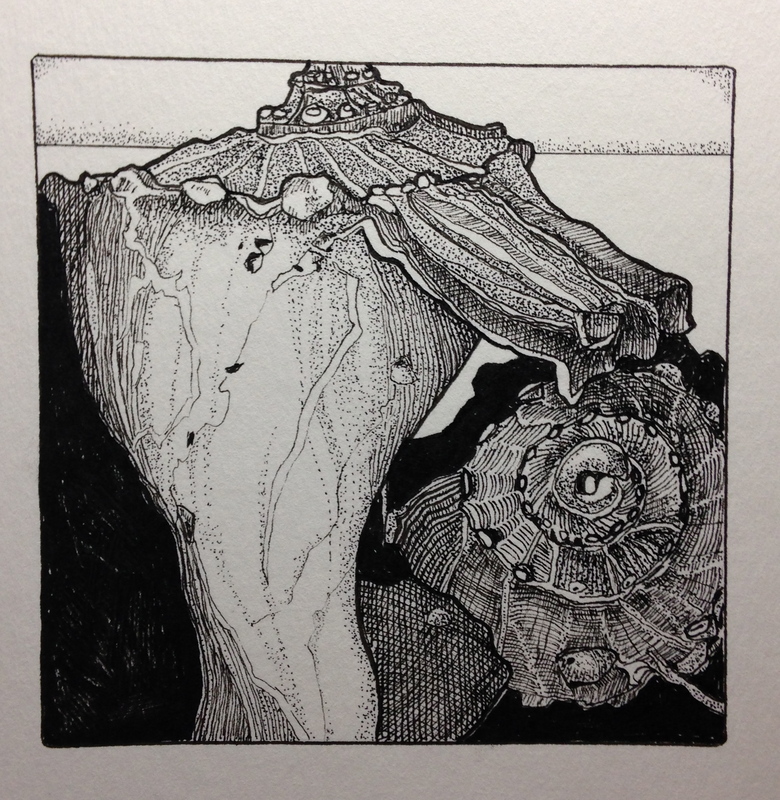 This drawing is one of a series based on objects found during my beach wanderings on Amelia Island. Over the years I have done pencil drawings, pen and ink drawings, crayon drawings, paintings, collages….all inspired by Amelia Island’s glory. This drawing is based on a shell fragment I had found earlier in the day, It is impossible to haul all these “treasures” back home in my suitcase, but these drawings are the next best thing.